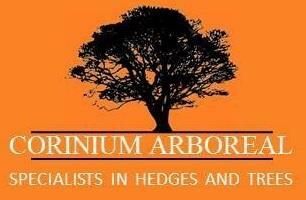 Corinium Arb - Tree Surgeon based in Chedworth, Gloucestershire. Corinium Arboreal is a professionally run family business which is based in Chedworth, Gloucestershire. Corinium Arboreal specialises in tree care along with a wide range of arboricultural services including garden recovery projects. Corinium Arboreal is a young company which has grown organically over the last three years. The company has a flourishing reputation for high levels of workmanship and customer service that is verified through client feedback via checkatrade. Our business offers a range of services to clients, although we generally carry out work within 30 miles from our site, a greater distance would be considered depending on the work the required.